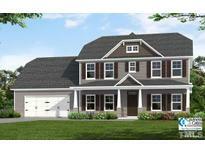 Below you can view all the homes for sale in the Winston Pointe subdivision located in Clayton North Carolina. Listings in Winston Pointe are updated daily from data we receive from the Raleigh multiple listing service. To learn more about any of these homes or to receive custom notifications when a new property is listed for sale in Winston Pointe, give us a call at 919-759-5792. PLUS the home owner has included a 13 month Home warranty for a peace of mind move. MLS#2240399. 4639. Minutes to Hwy 40,White Oak shopping,schools,parks! No city taxes! MLS#2237392. 1197. Why wait for new construction...move in now! ! MLS#2232673. 514. Community pool and park along with common area maintenance is part of the HOA. MLS#2227522. 4823. Minutes to White Oak Shopping Center,great schools, parks. Community pool under construction! MLS#2188084. 1197.